Do you deliver anywhere in the World ? 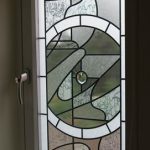 Leadbitter Glass delivers to areas all over the UK on a weekly basis and worldwide enquiries are also welcome. International pricing and logistics must be calculated on a case by case basis so please contact the studio direct with any international enquiries. Can I collect the glass myself ? Do you provide an installation service ? 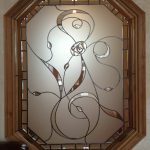 No, we only manufacture overlay stained glass, etched glass, fused glass and bevelled glass. We do not install glass. 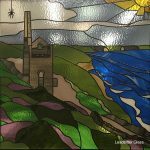 Can I ask you to create a design from my own ideas ? Can I see a “mock up” of my design before you manufacture it ? 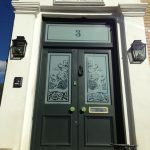 Can you supply my Decorative Glass as a double glazed sealed unit ? 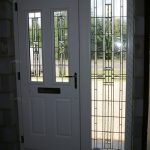 Yes, most of the glass we create is made into sealed units for double glazing. 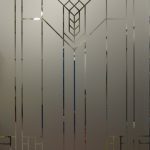 We can also supply onto “K” glass single, toughened single and sometimes onto frosted glass single glass. 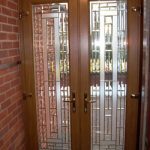 Can you visit my home or business to survey the job before manufacture ? 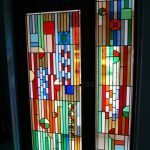 Do you manufacture the old style leaded lite stained glass ? 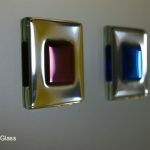 Can I have my own design manufactured in bevelled glass ? 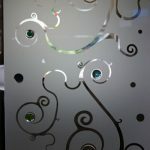 Yes, we can create bevelled clusters from your own design but it would take a few months extra. 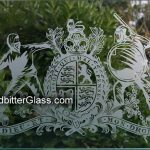 We have a large catalogue of standard bevelled glass clusters but we can also create bevelled glass clusters from your own ideas. 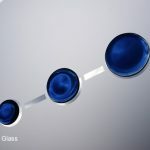 How long will my glass take to be completed ? Upon receipt of payment, most jobs will be completed within 1 to 4 weeks but this depends on your time of ordering so please call us on 01536 205777 for a more accurate estimate. Do you have brochures that you can send me ?